The Black Magic Maggot has been off the market for a couple of seasons, but due to high consumer demand it’s back and better than ever. Now with 10 exciting colour choices and the same weighted head used in the original range, these lures are going to be an excellent choice in most sea conditions. They are available unrigged or you can have them pre-rigged and ready to troll on 200lb Black Magic Tough Trace and an 8/0 closed gape game hook. 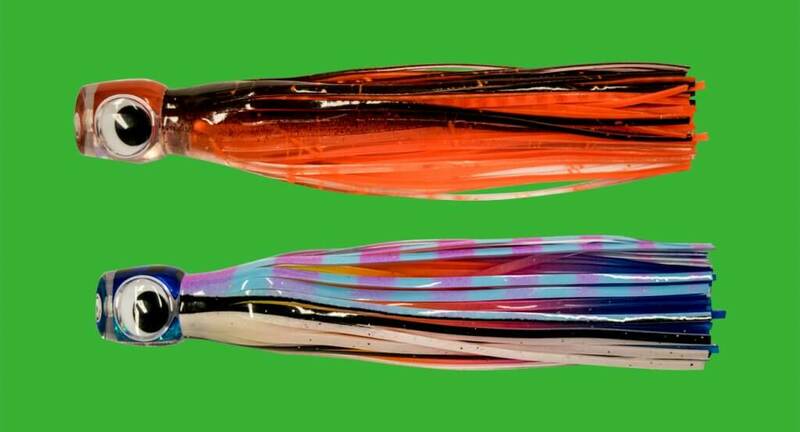 These lures are length 7.9” (200mm) in length, and available colours are: Dr Evil; Flaming Squid; Flying Fish; Fruity; Hot Rocker; Jack Mack; Lumo; Psycho Kriller; Skippy and UV Squid. For more information on these and other lures in Black Magic’s range of skirted pushers, visit the Black Magic Tackle website. For all the latest news and catch photos, follow them on Facebook (www.facebook.com/blackmagictackle) or Instagram (@blackmagictackle).